Send the message out! When your product requires a gentle touch, our Fragile pre-printed tape ensures that it will be handled with care. Printed on white vinyl, this Fragile packing tape will adhere to most surfaces. 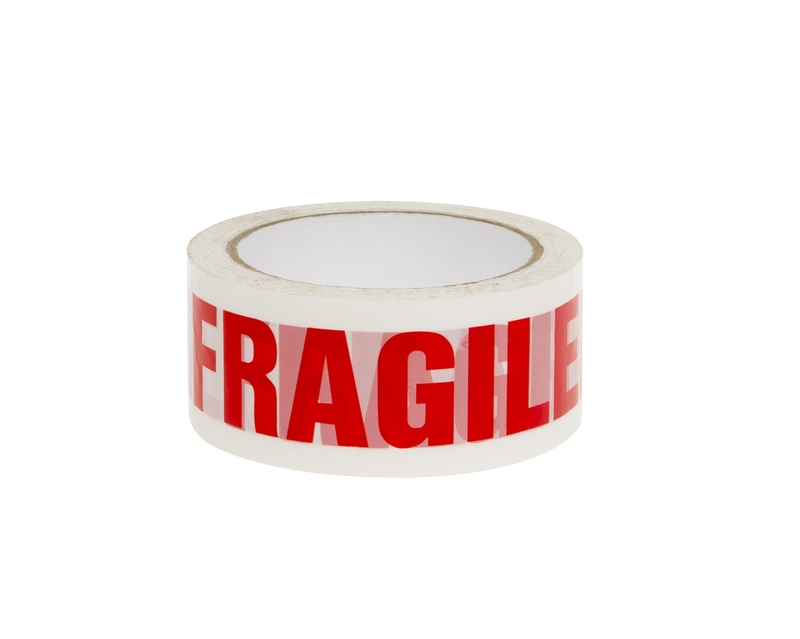 This packing tape labelled, “FRAGILE,” is an excellent solution for e-commerce businesses with fragile products that need to be carried carefully during shipment. Save packing time by using this warning tape that seals your boxes and states special shipping requirements at the same time.